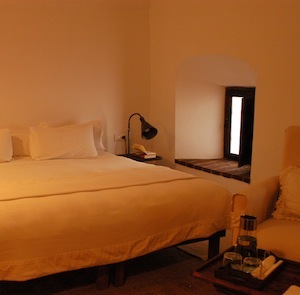 This is about as pure an execution of the converted convent hotel-concept as one could ever hope to find. 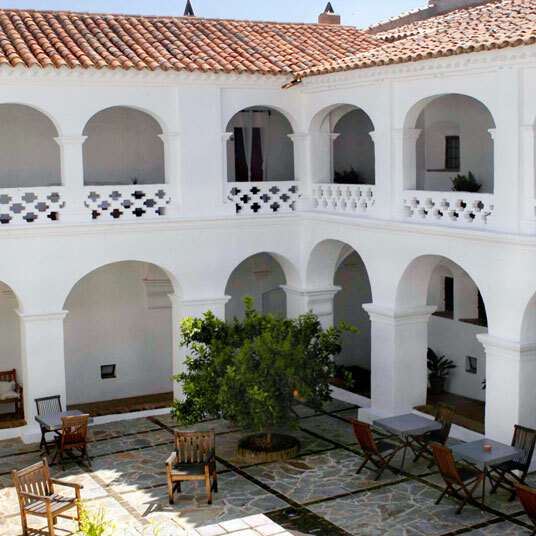 Not that Hospedería Convento de la Parra has any sort of a grudge against earthly pleasures — but if it’s tranquility you’re after, this is it: a hotel made of quiet nooks, literally built for seclusion and for quiet contemplation. 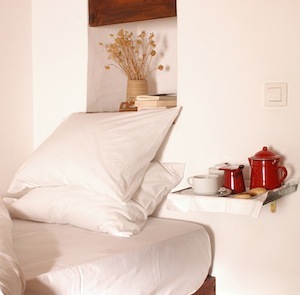 All the better, it’s perfectly at home in a sleepy, lost-in-time town deep in the Extremadura countryside. There’s no television or air conditioning, and the use of mobile phones in public areas is politely discouraged, but the consolations are abundant. The pool, for one, is a stunning lesson in the power of minimalism. Set on a terrace, its deep turquoise saltwater is offset by the convent’s whitewashed walls baking in the sun. The restaurant, for another, makes excellent use of Extremadura’s agricultural riches, not to mention its wine and famous charcuterie. Instead of a full roster of resort amenities, there’s a succession of pleasurable little details, like a glass of fresh-squeezed orange juice, made from oranges picked from the tree in the courtyard and spiked, if you like, with the booze of your choice. Or gazing up through the solarium at the night sky before walking the candle-lit corridors back to the room. Gazing at the sky and strolling the grounds is about as exhausting as the activities get at Hospedería Convento. Off-site, the little town where the hotel makes its home is well worth a stroll, though given its size, it’ll be an appropriately un-taxing one. 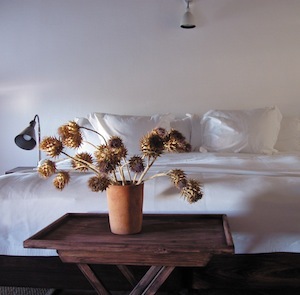 La Parra is authentic and untouristed even for Extremadura, which is an unspoiled place to begin with. Outside town, the countryside is dotted with picturesque towns, jumbles of well-preserved, century-spanning architecture with little but vineyards and olive groves in between. It’s an ideal place for a long drive, especially with the scent of plains-herbs blowing in through the window; or you can just cozy up in a shaded corner of the convent, and let the scents of the orange blossoms and lime trees come to you. 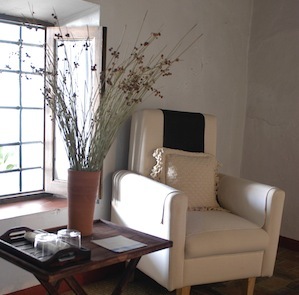 Please note: Hospedería Convento is open for the season from March through October. How to get there: Hospederia Convento de La Parra is located 2 hours away from Cordoba. Please contact CustomerService@TabletHotels.com for more information or assistance with transfers.